No, you will not. That is not allowed. You must pay homage to the REAL mother by NOT loving his children as if they were your own. Because children HATE being surrounded by people who love them. In fact, you must take it one step further and be invisible in your own home. 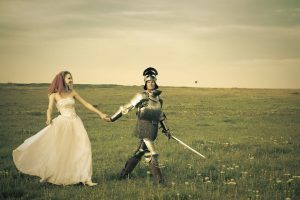 You must pretend as if you are not even there, and you must force Prince Charming to pretend as if he is a single parent. Because modeling a healthy marriage and a happy, supportive home life, would somehow damage the children. In fact, the REAL mother would prefer it if you would go stay in a hotel when the kids are at “Dad’s house.” Your mere presence upsets the balance of the teetering apple cart. Of course this is utter tripe. But, unfortunately, it’s the advice you will often be given if you veer off into one of the Bio-Mom-centric support forums. And I am not anti-Bio-Mom. I am one, in fact. 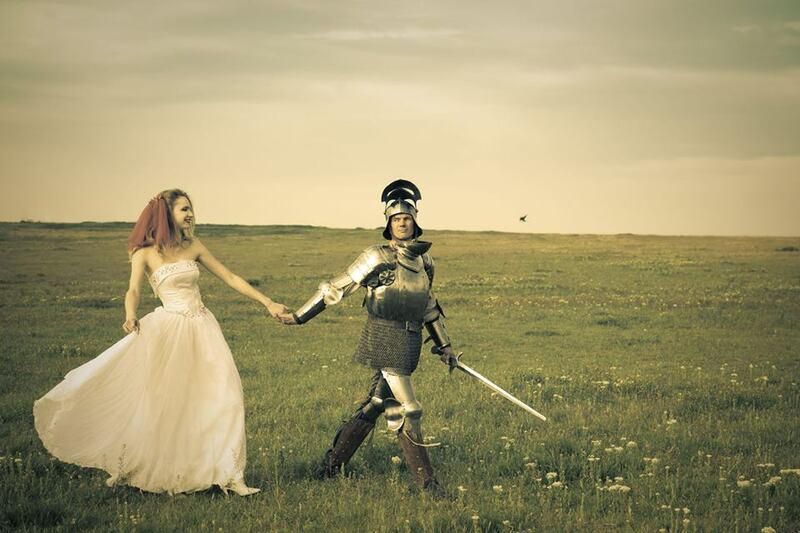 I was a divorced single mother when I met my Prince Charming. I was relieved when my ex-husband found a new wife and that she seemed normal and my son said she was nice to him. I was glad that she kept a tidy home (because my ex-husband was not big on cleaning). I have no doubt that her presence made my son’s visits at his Dad’s home, a little more… domestic. Did I like her? Not really. She wasn’t a bad person but she also wasn’t a woman with whom I had much in common (other than my ex-husband). But ultimately how I felt about her was of no consequence. She wasn’t MY wife and she wasn’t MY stepmother. And if she ended up loving my son, then I would have considered that a giant bonus… for my son, and for me, by proxy. I was surprised to learn that my take on step life and what is best for the children caught in the middle of divorces, is gravely different from what many bio-moms believe is, “in the best interest of the children.” In what alternate universe is it not in the “best interest of the children” to have as many people supporting them as possible? That alternate universe exists in the minds of disordered mothers (and fathers) who cannot comprehend that their children have needs separate from themselves, or that children are innocent in this game and need love and encouragement and that having a stepparent who loves them would be good for them. No, in that alternate universe, the children are used as weapons to punish the father (or mothers, in reverse instances) for daring to abandon them. To the disordered parent, their children are nothing more than biological weapons. The children’s needs are not even considered. The disordered Bio-Mom is only worried that her children might love the stepmother (and father) more than they love her. So the disordered parent works diligently to sabotage her children’s relationship with anyone other than herself. What can you do, as a stepmother (or stepfather) who finds herself in the position of watching her step children being used as weapons of biological destruction? Unfortunately, there is nothing you can do to stop the disordered parent from smearing you, from alienating you and your spouse, and from using her children as weapons. What you can do is enforce boundaries to protect yourself. 1. Do not engage with the disordered parent, ever. Do not meet her/him for “coffee” to discuss his/her rules for your behavior. 2. Do not become the “middle person”. Allow your spouse to deal with her in all matters pertaining to their children. 3. Do not allow yourself to be volunteered for things without your prior consent. 4. Insist that any scheduling changes that effect you, must be agreed to by you, prior to being confirmed. 5. Attend the children’s extra-curricular events if you want to. Don’t allow the disordered parent to ban you from attending. Under the same token, don’t feel obligated to attend if you feel uncomfortable or threatened. If you allow the disordered parent to demand your exclusion (or inclusion) even once, it will be a very slippery slope, where the disordered parent will continue to press boundaries to see just how far they can push to control you. 6. Do not hesitate to call the police if the disordered parent makes a threat towards you or towards one of her children. 7. You and your spouse should find a good therapist who understands the danger and seriousness of dealing with a disordered person, who can work with you as a couple to form a strong bond and to learn how to Parallel Parent. Because the disordered former spouse will do any and everything within their power to break that bond. You and your spouse need to be a cohesive team if you hope to remain married and also to model a healthy relationship for the children. This was a wonderful article, thank you! Thank you, greyrock. I’m glad you liked it! Great article! It was like you have been watching my life for the last 4 years. I had no idea people could/would act this way. It is so damaging to the kids and to my relationship with them(I think this is why they do it), as for the kids they just don’t see it – even having 2 psychologists point this out to my ex hasn’t even made her take pause. Everyone else is wrong. So sad. Thanks for your response, gotacrazex. Taking pause is not in their tool box. I’m sorry you have to deal with this but glad you found the forum!